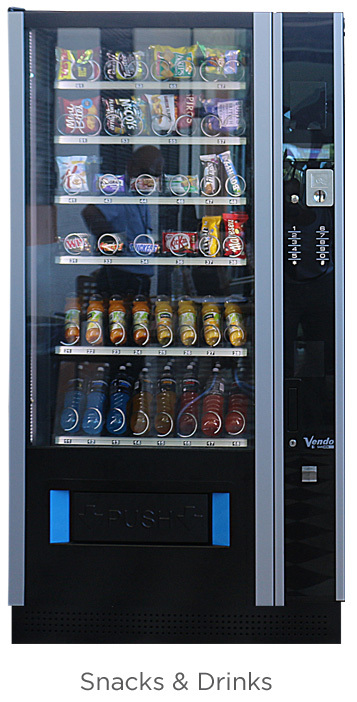 GSD Vending Services provide offices, factories, service organisations, public places and educational institutions with complete and hassle-free solutions for the provision of cold drinks, hot drinks, snacks and confectionery. We operate a fleet of modern vending machines. Their design ensures they will blend naturally into the décor of your premises, providing a solution which is not only functional, practical and reliable but also a solution which creates a pleasant environment. The vending machines are equipped with the latest technology to ensure energy efficient and environmental friendly operation with the added benefit of electrical cost savings. Our vending service operation is certified by international quality and management system standards in accordance with ISO 9000 for quality, ISO 14000 for environmental safety, OHSAS 18000 for health and safety, and FSSC 22000 for food safety. This allows us to provide consistent high quality service, while we safeguard the health and safety of our customers and employees, protect the environment and ensure food safety throughout the supply chain. The vending machines are maintained and stocked with fresh and high quality products by our trained employees. These, in turn, are guided by our state-of-the-art forecasting system to plan their replenishment visits, based on sales history and your requirements. Stock replenishment visits also include machine cleaning to ensure high levels of hygiene and an excellent level of presentation to support the good image of our brand and your business. All our vending machines are incorporated in a comprehensive preventive maintenance programme, to ensure the highest level of service with minimum disturbance to the users. Just in case, any technical problem occurs, our fully trained technical service crew is ready to attend and resolve the issue with minimum downtime. For further enquiries regarding our services, kindly call our vending service department, who will support your needs. We will provide a site visit at your premises, to draw up an individual proposal which will suit you and your staff’s requirements.